WHY RENT WHEN YOU CAN OWN?? VERY nice well kept and updated manufacture home! 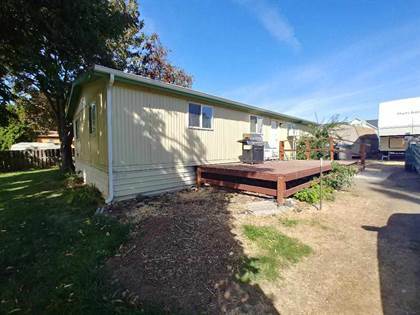 House boasts a roomy 1,152 sq feet with 3 bedrooms, 2 full baths in a nice quite orchards neighborhood with a view on almost a 1/4 acre lot! Low maintenance metal roof and new hot water heater! Come see the pride of ownership in this home, you will not be disappointed! Hi, I'd like to find out more information about 2127 Hemlock Avenue. Thanks so much!